Kino’s debut album Picture is to be released on vinyl for the first time. 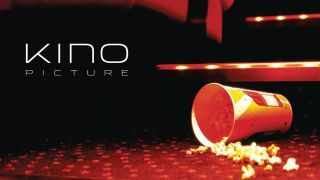 Kino’s lineup consisted of Frost* and Lonely Robot’s John Mitchell, Marillion’s Pete Trewavas, John Beck from It Bites and former Porcupine Tree member Chris Maitland. They launched Picture in 2005 – and it’s now been remastered by Mitchell and will arrive on vinyl and via digital services on November 17 via InsideOut. Mitchell says: “The Kino Picture album has been unavailable for a while but a lot of people have been asking about it, so it’s clearly got a place in a lot of people’s hearts which is wonderful. “It was never released on vinyl previously so it’s great that Inside Out have made that happen. Picture is now available for pre-order. Find the cover art and tracklist below.